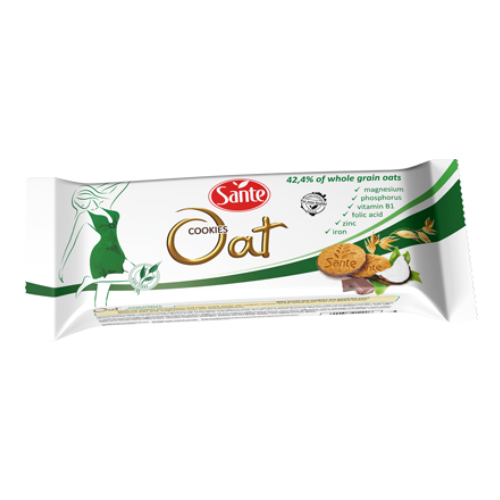 Oat cookies are grain cookies (without wheat!) 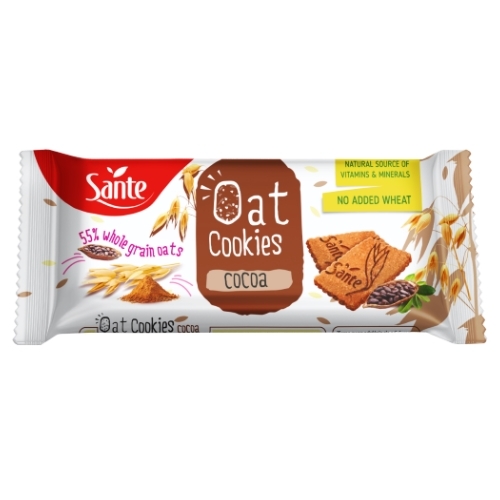 which contain 55% wholegrain oat, with cocoa added. Wholegrain oat provides a big dose of energy and contains valuable nutrients. 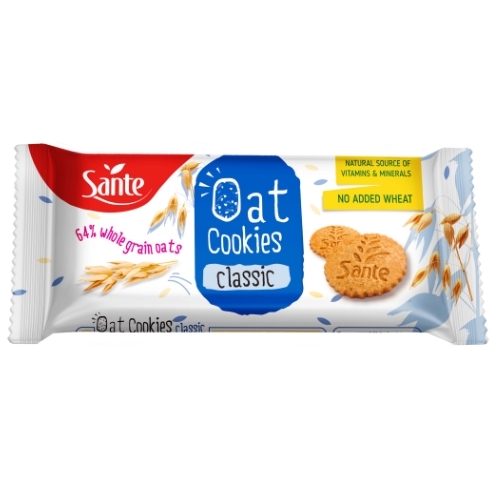 Oat cookies are rich in soluble fibre from oats. They contain vitamins, such as folic acid and thiamine, and minerals, such as iron, magnesium, zinc, potassium and phosphorus. Phosphorus supports proper energy metabolism and helps keep the bones and teeth healthy*. *This health effect can be achieved by regular consumption of four cookies combined with a balanced diet and healthy lifestyle. 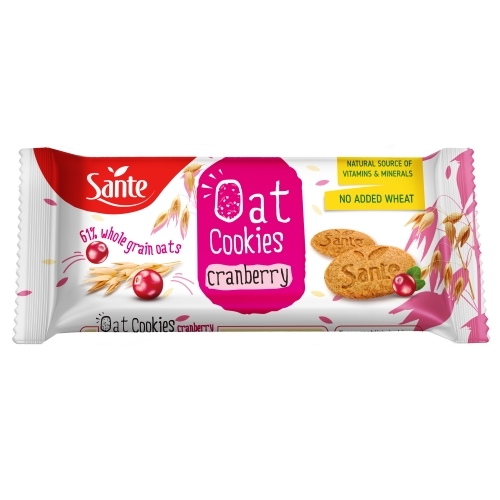 Wholegrain oat products 55% (oat flakes, oat flour), palm fat, cane sugar, glucose syrup, whey powder (milk), cocoa 5%, raising agents: sodium carbonates; sea salt, flavouring.